Who can forget it? 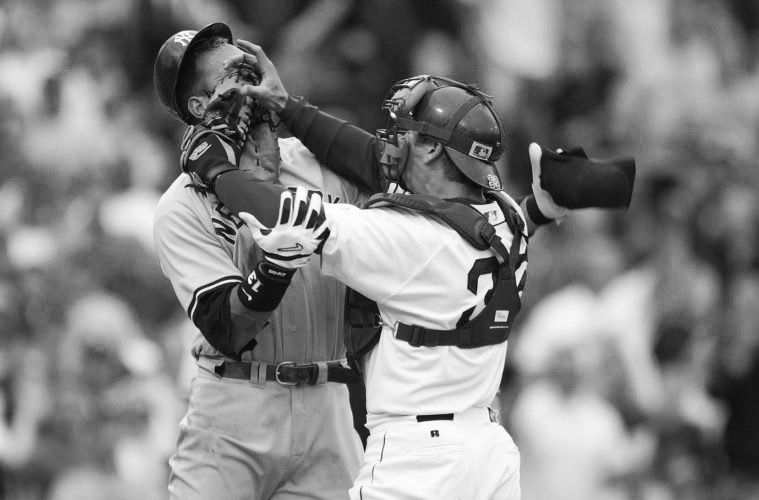 Fourteen years ago today, the confrontation between Jason Varitek and Alex Rodriguez ignited a Nation and ultimately resulted in the first Red Sox championship in 86 years. The Boston captain—protecting his pitcher Bronson Arroyo—gave A-Fraud a shot upside the head and a franchise-changing, bench-clearing brawl ensued. And yet, Boston found itself down by a run in the bottom of the ninth inning. Bill Mueller—who in October of 2004 would drive in (arguably) the biggest run in team history—launched a two-run HR into the bullpen off Mariano Rivera—resulting in a walk-off 11-10 win. It set the tone for what was to come. We should all remember this day. Light a candle or something.